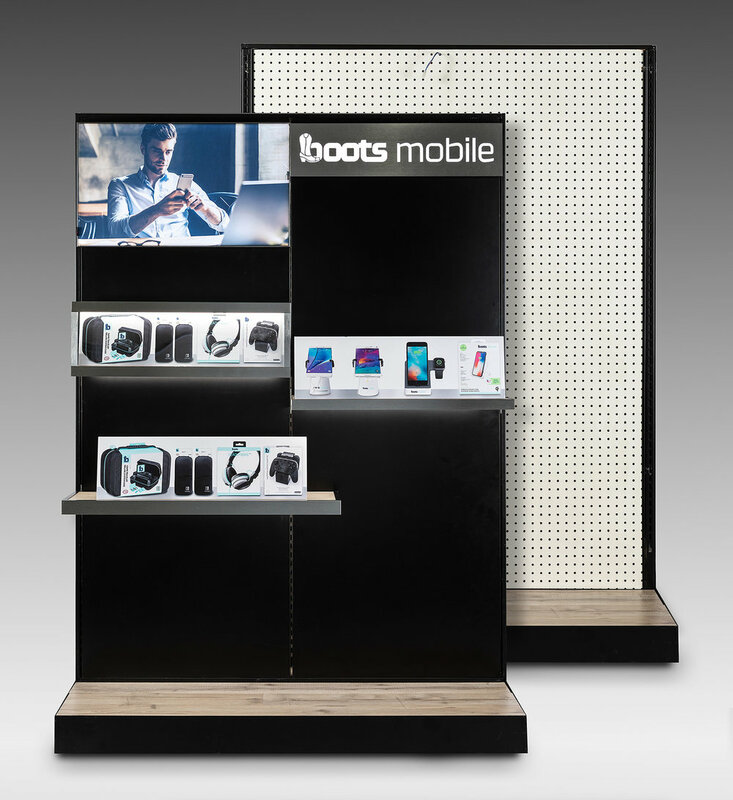 Flexis is not just designed for the perimeter wall of a retail store; with our new next generation Flexis, you can now retrofit an existing gondola fixture. Flexis is available in Stylmark’s wide range of anodized finishes allowing designers to capitalize on color as part of their store design. Flexis was named the 2018 winner by International Interior Design Association (IIDA) at GlobalShop 2018 in the category of fixtures. IIDA recognizes product design advancements in innovation, function, and aesthetics for the retail industry. Flexis was also named an Editor’s Choice by Shop! Retail Environments magazine as one of the top six must see products of 2018.
re-merchandise the wall with ease and with no wires, a true plug-and-play solution. Stylmark is pleased to announce that Flexis was chosen by the International Interior Design Association (IIDA) as a winner at this year’s GlobalShop Product Design Competition in the category of fixtures. Winners were chosen by a jury of design professionals. Products were judged for design, technical advancements/innovations, cost and value, environmental responsibility, aesthetics/comfort, safety, client/user benefits, need and usage for retail spaces. The Stylmark NIGEL 11/16” diameter showcase reflector with modular light engine is designed for commercial showcase displays that require a slim profile. Available in a variety of colors and finishes, the reflector can be mounted in wood end showcases using mounting hardware or in glass end showcases using down tube assemblies.